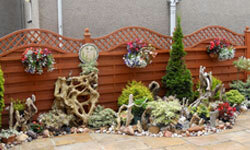 Offering top quality bed and breakfast accommodation in Perth, Scotland, in a beautiful Victorian villa. Tastefully decorated to a high standard, while retaining many original features, particularly the ornate cornices. The Guest House is located on Pitcullen crescent on the quiet outskirts of Perth approximately 10 minutes walking distance from Perth Concert Hall and the centre of Perth and close to Scone Palace and Murrayshall Golf Course and hotel. 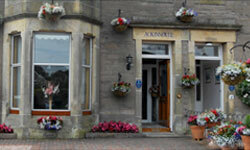 Ackinnoull offers double, twin and family accommodations with a twin room located on the ground floor. 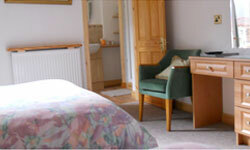 The bedrooms are all ensuite with television, hairdryer and hospitality tray. The guest lounge offers magazines, maps, and information on places of local interest, including eating places.